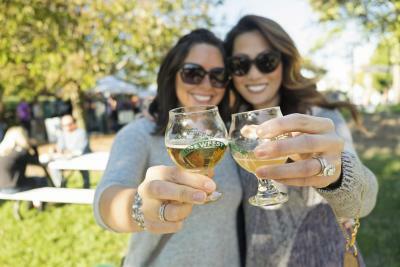 Whether the Autumn season has you craving craft beers and burnt ends or pumpkin patches and pony rides, KC | OP’s Fall festival lineup truly has an unforgettable event for everyone. Below are our top 8 Fall events you need to be sure to attend. 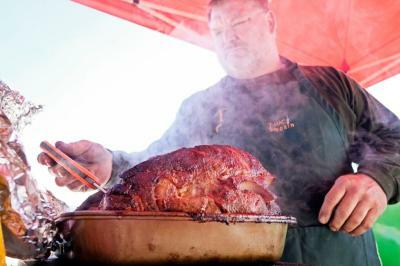 A beloved KC tradition, the American Royal World Series of Barbecue attracts talented barbecue teams from more than ten countries to compete for the title of Grand Champion. 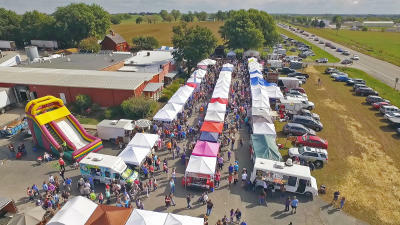 In addition to the largest barbecue competition in the world, the two-day festival (held at Kansas Speedway) also features live local music, a maze of food and drink tents, carnival rides and even a mechanical bull. Purchase tickets here. 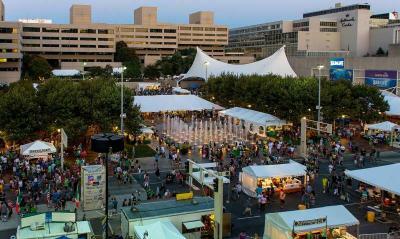 Celtic pride descends upon Crown Center over Labor Day Weekend during the annual Kansas City Irish Fest. From food tastings and heritage workshops to kids’ activities and more than 30 bands on seven stages, it’s nearly impossible not to be completely immersed in Irish culture. Purchase tickets here. Travel back in time to a 16th Century European village, complete with jousting knights and gigantic turkey leg lunches at the Kansas City Renaissance Festival. New in 2017: Fly high on the new Wizard’s Flight School zip line or put your problem solving skills to the test in the Plague Escape Room. Purchase tickets here. 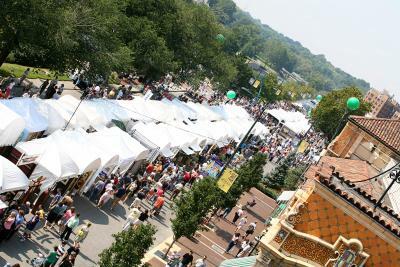 With 240 artists featured, three live music stages and more than 25 featured restaurant booths, it’s no wonder The Annual Plaza Art Fair encompasses nine entire city blocks. And the picturesque Spanish architecture of KC’s beloved Country Club Plaza makes for a backdrop masterpiece! Admission is free. Kick off the Autumn season with a lively parade right through the heart of Downtown Overland Park. The Fall Festival & Parade features food trucks, live music, craft vendors and children’s activities galore. And don’t forget to stock up on farm-fresh produce at the Farmer’s Market – open during the event until 1 p.m. Admission is free. Red and gold: the colors of the Kansas City Chiefs, of Autumn leaves turning all over the Midwest, and of crisp, juicy APPLES! Watch and learn how apples are pressed into 100 percent pure cider while munching on a freshly dipped caramel apple. Other Ciderfest fun includes a pumpkin patch, pony rides, cider donut-making and a corn maze. Admission is free. 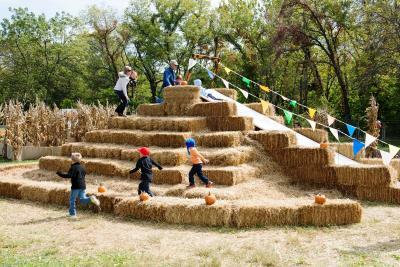 Fall at the Farmstead brings Pumpkin Hollow, a month-long special event that boasts activities for kids of all ages. A horse-drawn wagon ride transports visitors to the pumpkin patch where each person gets to take home a pumpkin. Kids can also be seen zooming down the giant hay slide or riding the Pumpkin Hollow Express – a barrel train pulled by a real farm tractor. Tickets are $8 and may be purchased onsite. Cheers to sampling more than 90 craft beers amid lush, natural scenery at the Overland Park Arboretum’s Botanical Brewfest. 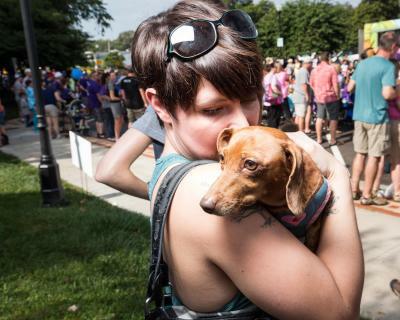 Local and regional breweries, restaurants and bands are all on hand to provide festival goers with their latest and greatest beer, food and live music. Purchase tickets here – funds raised benefit the Arboretum. 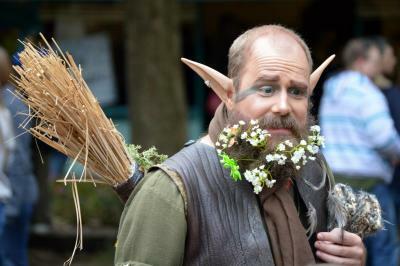 Still looking for more to do this fall? Explore your local coffee shops and try out their fall drinks!